These will ONLY be shipped via UPS or FedEX — no PO Boxes! The free shipping for orders over $50 DOES NOT APPLY to this item. 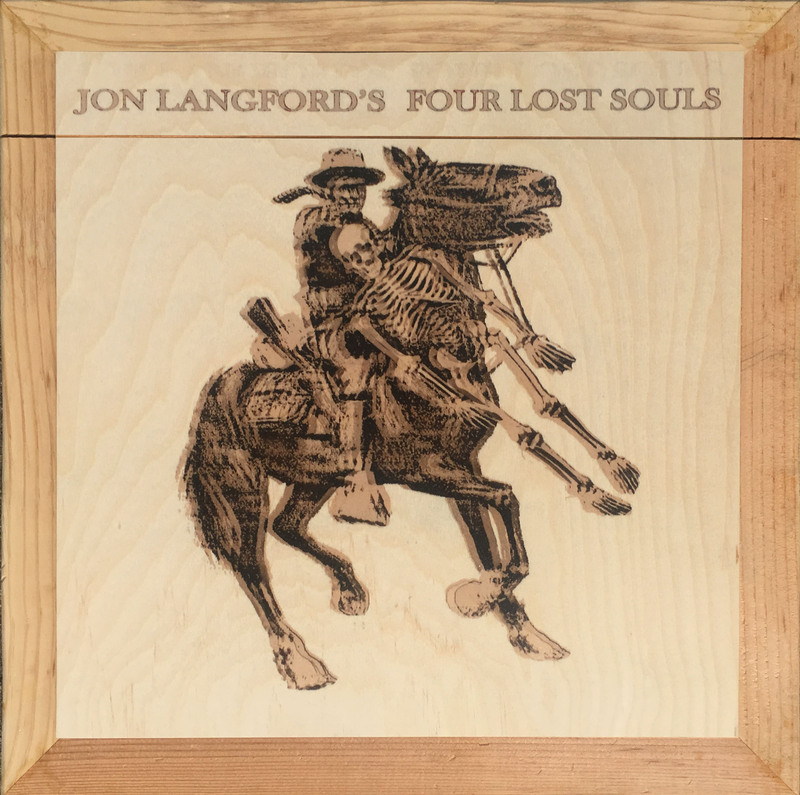 We consider the new Jon Langford album, Four Lost Souls, to be great art in of itself. A beautiful, challenging and all-too-relevant album. 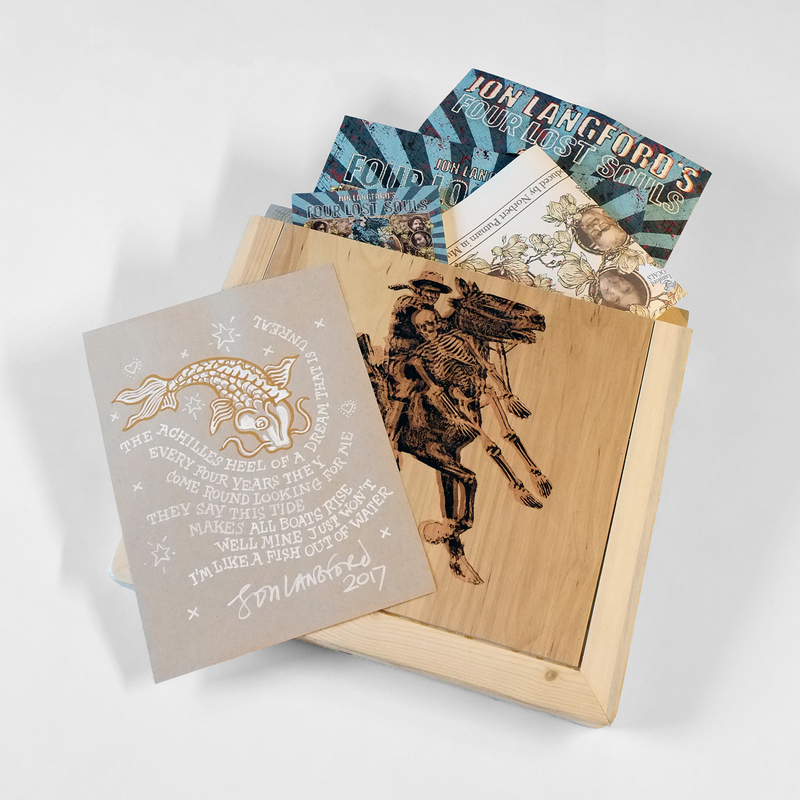 Each package comes in a wooden box—custom designed and built by Tim Wood in his shop in the Pilsen neighborhood of Chicago. 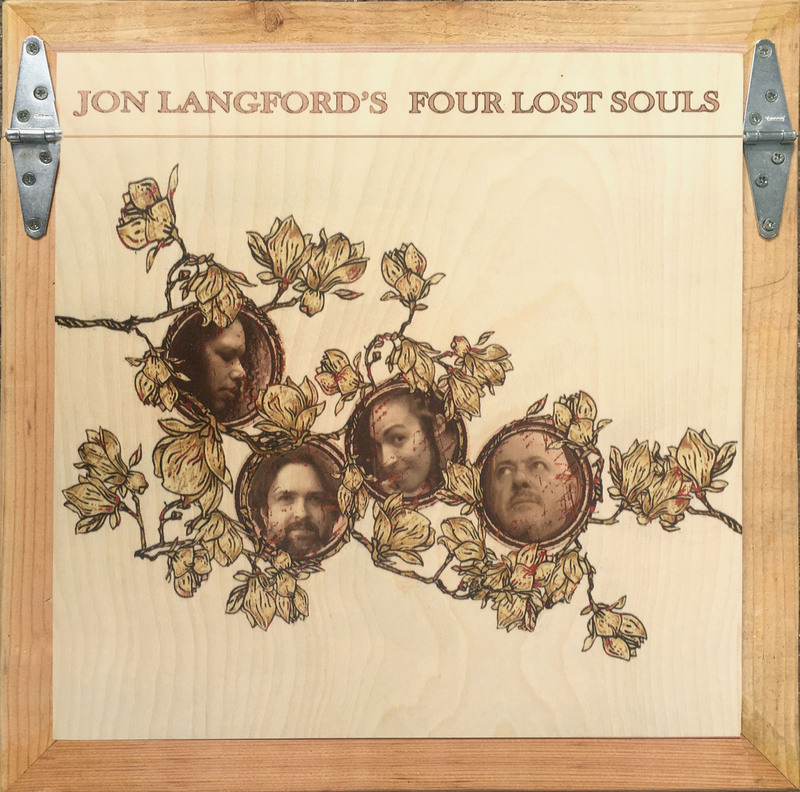 Jon Langford's art is the perfect fit for the Foundry's technique. Good gravy. It's a stand alone piece of art, it's amazing music, it's all of it. In one super rare package.